As 2014 is almost over, it’s time for my look back at my theatregoing year. I’ll start by saying it’s been far shorter than I’d have liked, as due to breaking my ankle, I’ve not been able to get to a theatre since August. As I try not to think about the productions I had to miss, I can at least look back at a nine months filled with some truly superb shows. In 2014, I managed to make it to 38 live productions, of which I returned to see 7 productions more than once, giving a total of 58 theatre trips. I also managed to tick another two productions off my archive list, by visiting the V&A archive to see the RSC’s 2011 production of Cardenio and the Royal Court’s 2007 production of Rhinoceros. After much thought and in no particular order (apart from my number one, as ranking them further would be too big a challenge! ), my top ten is below. Top of my list this year is the superb King Charles III, which I saw during its original run at the Almeida. I’m a big fan of both Mike Bartlett’s work (his recent play Bull made it on to last year’s list!) 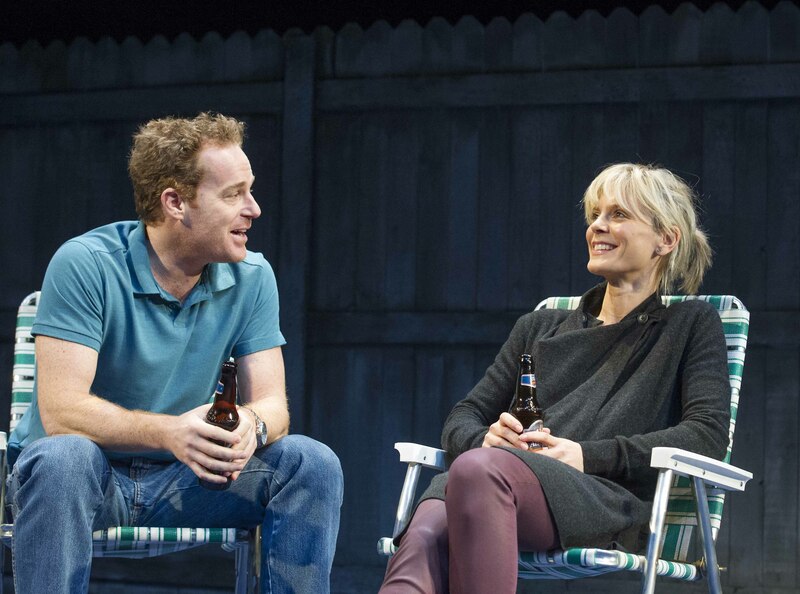 and Rupert Goold and found this to be a refreshingly new and exciting play (see my full review here). A bit of a slow burner, but as the story progressed I became absorbed by it, wondering what direction Bartlett had chosen to take in this alternate United Kingdom. The brilliance here is also structuring it in the style of a Shakespearian History play! Filled with fantastic performances, particularly Tim Pigott-Smith, Oliver Chris, Adam James and Lydia Wilson, I loved that it dared to do something different and the ending was incredibly powerful. I must try and see the current cast at the Wyndams Theatre before it ends in January if I can. I wasn’t sure what to expect when I headed to the Royal Court Upstairs in February for The Pass. However, it didn’t take long for me to know that this was something very special indeed. The Pass centres on two friends at the early start of their professional football careers and follows their different paths, while also superbly raising the issue of what it would be like to be in such a world and perhaps by unsure as to what you really wanted in life and what really will make you happy, sexually or otherwise. Russell Tovey was truly incredible as Jason and commanded the stage throughout. More from the Royal Court, this time downstairs for Simon Stephens’s (whose Seawall topped last year’s list) new play Birdland. We are drawn in to the world of Paul, an international rock star whose 15 month world tour is reaching its conclusion. He can have anything or anyone he desires, but is that really enough anymore? Andrew Scott is always mesmerising on stage and he gave an absolutely phenomenal performance as Paul, tackling every imaginable emotion over the course of the play. He effortlessly moved from lighter moments to those which suggest a dangerous, darker side to Paul lurks just below the surface. It takes great skill to be able to be both emotional and emotionless in so short a time and Andrew Scott was more than up to the task. The set was also very clever and I left the theatre feeling very excited at seeing something new and powerful (feel free to read my full review here). I’d always quite liked the sweet indie film Once and had been meaning to go and see the stage version. Unbelievably it took me over a year but I’m so pleased I made it this year, especially during the time of Zrinka Vitesic and Arthur Darvill. They were both utterly superb. Zrinka had been in Once in London since it opened and this year justifiably won the Olivier award for her portrayal of this heart-warming character. She brought a perfect blend of playful humour, bossiness and tender emotion to the role and you instantly connect with her as soon as she steps foot on the stage. Arthur was also excellent as the Guy, who is at first bewildered by this whirlwind of a woman who has entered his life. After playing the same role on Broadway for a number of months he clearly understood the soul of the character and his chemistry with Zrinka was beautifully tender and romantic. Its warmth and magical spirit will make you laugh, smile and cry and will leave you feeling deeply moved. Try and see it if you can (my full review is here). It’s been a fantastic year at the Young Vic and the two standout productions for me both make my top ten. First is Tennessee Williams’s classic production starring Gillian Anderson and Vanessa Kirby. I’d never seen Streetcar before and this was certainly a superb production to start with. I loved the staging. As an audience member you can’t help but feel as if you are intruding on the innermost lives of the characters and there is a wonderfully effective, voyeuristic quality too, due to the rotating stage. I’ve admired Gillian Anderson for years and she was absolutely incredible. She drew the audience in so much to Blanche’s disintegration that by the end of the production I certainly felt exhausted and incredibly moved after having watched such a powerful and emotional performance (my full review is here). Another incredibly powerful night at the Young Vic this year was for the stunning production of Arthur Miller’s A View From A Bridge. Everything about this production was superb – the claustrophobic box set, the lighting, but above all the performances of the cast. Nicola Walker does a fantastic job as Eddie’s wife, who is growing ever more concerned about his attachment to their niece (also wonderfully played by Phoebe Fox). 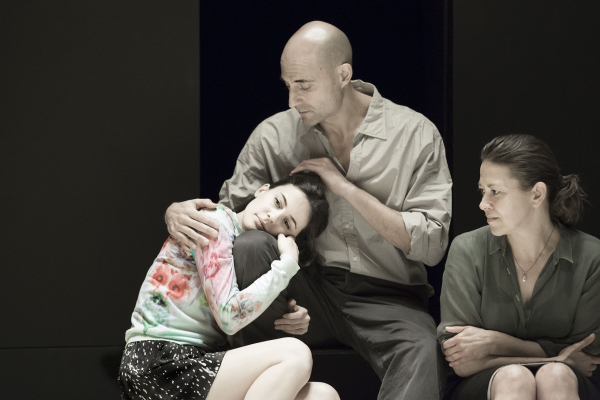 However, the standout performance is by Mark Strong, who is breathtakingly intense as Eddie. It is such a nuanced performance, through which we really see the depths of his character and he is certainly one of the finest actors I have seen on stage. This production is transferring in to the West End next year, so make sure to grab a ticket fast. 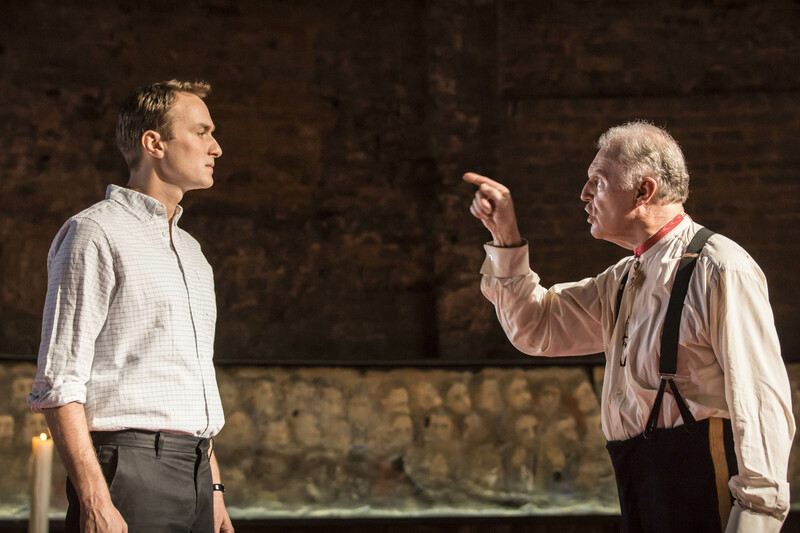 From the Young Vic, to the Old Vic up the road for another Arthur Miller classic (and another first for me – my full review is here). This superb production also stands out for me as it was the last production I was able to see before breaking my ankle! South African Director Yael Farber’s powerful production particularly benefited from the current configuration of the Old Vic stage. Playing such an intense story on a smaller stage, surrounded by the audience was an inspired decision. Its deeply atmospheric, sparse staging by Soutra Gilmour, the effective use of light and shadow by Tim Lutkin, mist-covered entrances and terrifyingly eerie music score by Richard Hammarton, are all enhanced greatly by the almost claustrophobic atmosphere created by having faces gathered all around the stage. 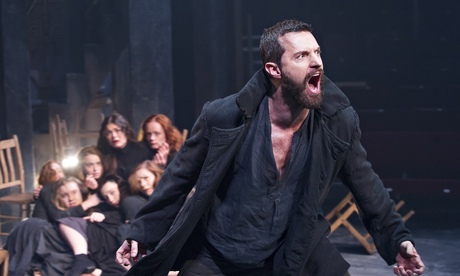 Richard Armitage has an incredibly powerful presence on stage and you could not fail to be moved by his portrayal of Proctor, as he moves from moments of sorrow, to weakness, intense anger, rage and delicate emotional vulnerability. I thoroughly enjoyed Gina Giofriddo’s latest play, focusing on the choices available to women today – career or family? marry or remain single? – and whether any of these possible choices will make you feel fulfilled or whether the grass is always greener. I found the scenes in which the history of feminism, the role of women and their relationships with men are debated incredibly absorbing and thought provoking and the performances of all five actors were excellent. However it was Shannon Tarbet as Avery who stole the show with some truly sharp and witty one-liners and who you couldn’t fail to like. A highlight I wasn’t expecting too much from before I went (my review is here). I have owned Hilary Mantel’s Booker Prize-winning novels for a few years now and have never had time to read them. However I was thrilled to hear that Mantel herself was to adapt them, together with Mike Poulton for the RSC and what a brilliant production it was. I preferred Wolf Hall out of the two, but both this and Bring Up The Bodies were excellently acted, directed and conceived for the stage. On the smaller stage of the Swan, the plays seemed even grander, almost too big for the space, while keeping a wonderfully intimate feel. Ben Miles was utterly superb as Cromwell, who for each 3 hour production barely leaves the stage. I hope this finds just as much success on Broadway next year. Choosing a final production has proved quite difficult, with so much I’d enjoyed this year. In the end the top ten had to include Daniel Kitson’s latest part theatrical, part art installation show at the National Theatre as it was certainly a highlight for me and one which has stayed with me ever since. It was a unique story, which weaved together memories from the past with the present. It was incredibly moving and beautifully reminded me of the power of memory and how important memories of our past will be to us as we grow older or to those who come after us, offering them a glimpse in to a time long past. I even dug out an old recording of my grandparents, which I hadn’t listened to for years after seeing this. My full review is here. These are the productions that almost made it in to the top ten. 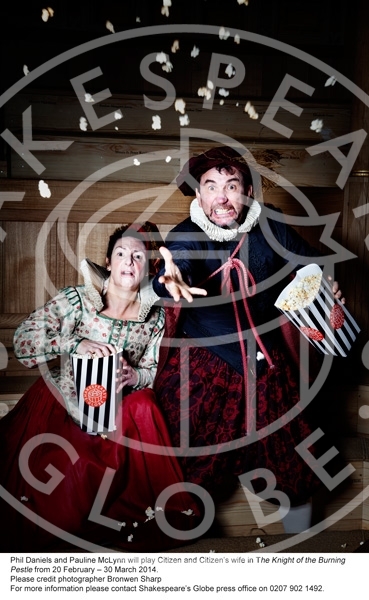 The Knight of the Burning Pestle (The Sam Wanamaker Playhouse) – A quirky, comic and fun production from the new Sam Wanamaker Playhouse. 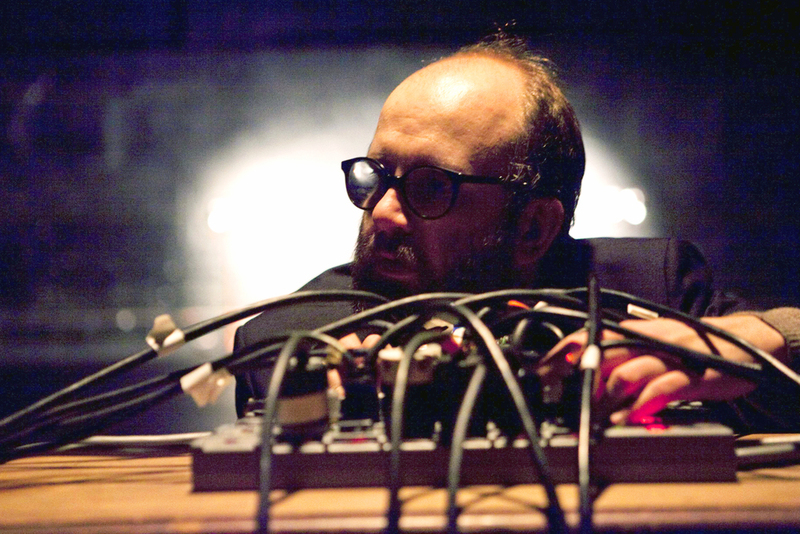 Having the grocer and his wife within the audience throughout is such a brilliant device, especially in such an intimate setting and truly engages the audience in a whole new way. You can read my full review here. Richard III (Trafalgar Studios) – Martin Freeman’s intelligent Richard simmered with menace in another great Shakespeare adaptation from Jamie Lloyd. 1984 (Almeida Theatre) – Another brilliant production for Rupert Goold’s theatre, as Headlong perfectly brought such an atmospheric and iconic book to the stage. 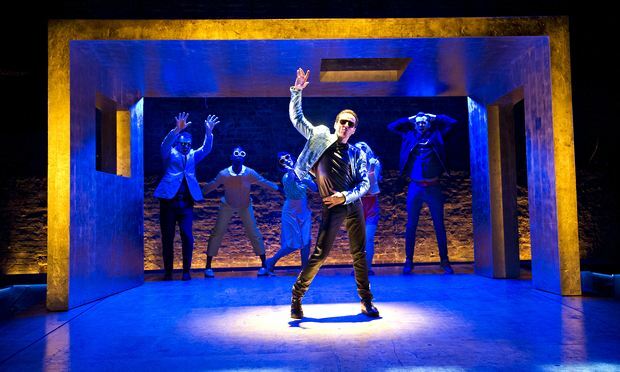 Coriolanus (Donmar Warehouse) – Another of the Bard’s plays ticked off my list in an engaging production with a strong cast led confidently by Tom Hiddleston. Red Velvet (Tricycle Theatre) – After missing it the first time around, I loved Adrian Lester’s passionate performance as Ira Aldridge (see my review here). American Psycho (Almeida Theatre) – Rupert Goold’s first production in charge of the Almeida was a gloriously refreshing and exciting production, brilliantly led by Matt Smith. I still wish there had been a cast recording! Richard II (RSC at Barbican Theatre) – This was certainly a production that grew over its run and by the time it reached London the cast were on fine form. David Tennant may not have been as strong as he was in Hamlet, but his Richard II was still wonderful to watch. Although for me, the stand out performance remains that of Oliver Rix as Aumerle. A Small Family Business (Olivier, National Theatre) – Although there were some good performances, this play was too dated and dull for me and far too long. Mr Burns (Almeida Theatre) – Although I enjoy seeing something that dares to be different, the third Act of Mr Burns was just too weird for me, making me wish I’d left after Act 2. Slava’s Snowshow (Royal Festival Hall) – I was simply bored by this. Perhaps it’s more for kids. The Mistress Contract (Royal Court Theatre) – Another production that was just a bit dull for me, despite two good performances. – A West End return – Seeing Angela Lansbury’s return to the West End stage at the age of 88 in Blithe Spirit and from the front row for only a tenner too! – Martin Freeman commits brutal murder – Just when Martin Freeman’s Richard III didn’t seem that frightening, he kills his wife by strangling her over a desk with a telephone cord! After watching him cruelly stalk her around the room, watching him finally kill her was very chilling (especially from my stage seat). – Kevin Spacey captivating an audience – Watching how at home Kevin Spacey looked, sitting in an armchair, at the centre of the Old Vic, surrounded by a rapt audience. – The thrill of a first preview – Attending the first performance of Birdland and being reminded yet again how incredible Andrew Scott is on stage. – Discovering a new young talent – Discovering Shannon Tarbet in Rapture, Blister, Burn, who I’m excited to watch in lots more to come. – Site specific theatre in gorgeous surroundings – Experiencing voyeuristic theatre at the Langham Hotel for The Hotel Plays. – The thrill of knowing you’ve seen something new and utterly brilliant – By the end of my first trip to King Charles III (on the second preview), it was thrilling to feel the excitement of seeing a superb new play, especially by the time it reached the glorious last scene. – Visiting a new, fantastic theatre – My first trip to the Park Theatre, a theatre I’m sure I’ll be visiting a great deal in the years to come. 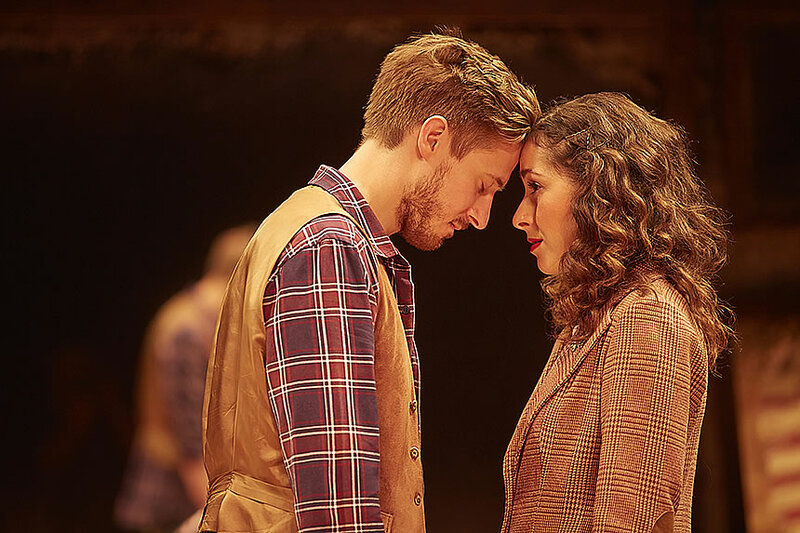 – Saying an emotional farewell – Joining in the emotional applause at the final performance of Once for Arthur Darvill and Zrinka Vitesic from the front row. – Enjoying phones being used in a theatre – Enjoying the quirk of actually using your mobile phone during a production at the Donmar for Privacy. I doubt I’ll ever think that again! All in all it’s been a fantastic, if somewhat curtailed year of theatre for me, in which I’ve seen some wonderful moments on stage by some of the finest actors working today. I am thoroughly looking forward to what surprises 2015 will bring (and I’ll post my top choices for 2015 soon)! The second production at the recently opened Sam Wanamaker Playhouse at Shakespeare’s Globe is at the opposite end of the spectrum to The Duchess of Malfi, providing an incredibly entertaining, light hearted time at the theatre. The Knight of the Burning Pestle is effectively two (if not three) plays in one. 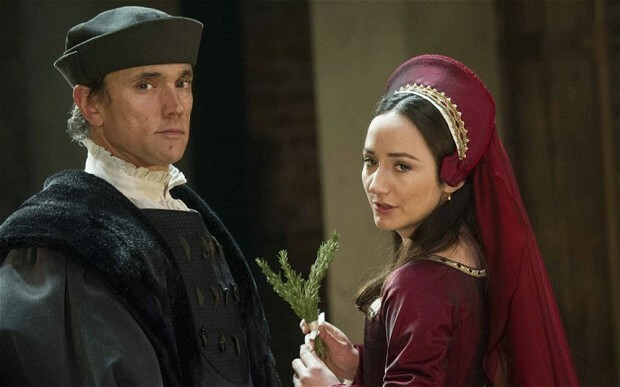 There is The London Merchant, the play the acting troupe is attempting to stage, in which the merchant’s apprentice Jasper wishes to marry his master’s daughter Luce against her father’s wishes. In to this scenario a grocer and his wife in the audience insist that one of their own joins in as a heroic character and so the grocer’s young apprentice Rafe is thrust in to the spotlight to become a knight who, separate to the main plot, will make it his mission to do brave deeds as the Knight of the Burning Pestle (which in Pulp Fiction style is carried in a small box, which glows in golden light when opened!). The rest of the play revolves around the comical blending of these two strands in a hilarious, Monty Python style story, which sees all manner of crazy requests provided by the grocer and his wife for Rafe to act on stage, together with the perturbed company, who are also determined that their own tale should continue despite this unexpected insertion. The hilarity of the piece suits the intimate setting of the new Sam Wanamaker Playhouse perfectly, enhanced by the wonderful staging which sees the grocer and his wife sit throughout the show amongst the audience members in the Pit, providing a third aspect to the play as we watch their reactions to the action unfolding on stage, making this a truly engaging experience for everyone (and those sitting near them will also benefit from offerings of food and drink too)! Phil Daniels and Pauline McLynn are wonderful as the couple whose interfering antics and whose relationship becomes central to the story. There is genuine warmth and affection between them and their interaction with the audience is brilliantly played. The ensemble also contains some other strong performances. Alex Waldmann (whose King John for the RSC still burns brightly in my mind) was very strong throughout and gave a more confident performance here than in Malfi, clearly comfortable with the light tone of the piece and the freedom he has to explore the role. Due to Matthew Needham’s injury (more on that shortly) he also had to act the most bonkers stage fight I have ever seen! At the start of Sunday’s matinee we were informed by the “stage hands” that Matthew Needham who plays Rafe had suffered an injury to his leg during rehearsals and that certain scenes had been modified. This resulted in a quirk which for such a farcical play worked sublimely – Matthew acted the whole play on crutches and during fight scenes the other actors undertook a master class in improvisation, throwing imaginary punches and hurling themselves about the stage, whilst the stage hands within the play called out to the audience what was happening (“Now Rafe is thrown to the floor and beaten” etc.)! It is unfortunate for Matthew that he is injured and I hope he recovers fully before the end of the run. However, I personally thought this creative solution to the problem worked fantastically well. The “fight” between Rafe and Jasper was one of the funniest I’ve seen at the theatre, particularly when Matthew turned to my side of the Pit and dryly commented how it was much easier this way and despite his injury I thought he performed the role of Rafe extremely well throughout. Again, the unique atmosphere of the candlelit Playhouse added to the intimacy and at times made it feel as if we were all at one big party rather than the theatre. The comedic tone of the play seemed written for the space. I particularly enjoyed the entertaining start to proceedings as the stage hands (who become the Knight’s men and are played with prefect comic timing by Dennis Herdman and Dean Nolan) light the candles, setting the tone for the rest of the afternoon. The musicians are also excellent adding to the frivolity and fun. The running time was 3 hours, which is perhaps still a little long but this is compensated for by four breaks (three four minute interludes and a 15 minute break). I also understand that this is already 15 minutes shorter than the first preview so I imagine by opening night it will be tighter and a little shorter. Also, thankfully, they seem to have added additional cushioning to the seats since my earlier trip to Malfi, meaning that I actually felt quite comfortable in the Pit. Due to the small number of seats in the Playhouse and the relatively short run, this is likely to sell out very soon (most dates are already showing limited availability). Therefore if you want to see something a bit different that will leave you with a smile on your face I recommend you buy a ticket quickly!